Jiarui Yin received her Bachelor of Arts degree from Sichuan International Studies University and her Master of Arts degree from New York University. She also was awarded a Juris Doctor degree from New York Law School. During her law school study, Jiarui was the awardee of the Boris Benson Scholarship and the Class of 59’, Arthur Abbey Scholarship. She joined our firm in 2014, and has extensive expertise in handling employment based and family based immigration matters, and ample experience in working with corporate clients and individual clients. 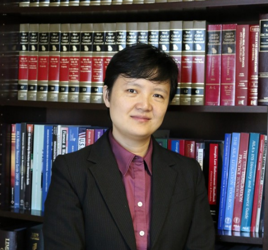 Jiarui is an expert in handling employment-based immigration process, including National Interest Waiver (NIW), EB1A (Aliens of Extraordinary Ability), EB1B (Outstanding Professors and Researchers), and PERM Labor Certification. She also has ample knowledge in L-1 visa and immigration process matters for multinational managers or executives. Jiarui volunteers her legal service to the China Rainbow Network, an organization serving the Chinese LGBTQ community. She was invited to hold seminars for the community and offers pro-bono services for the Chinese LGBTQ students in need. Jiarui is a member in good standing with the State Bar of New York.